Indulge in the Main Street Pedestrian Mall. Streets are lined with interesting vendors with a variety of products for your enjoyment. From bird feeders to rock jewelry, from hand-forged ironwork to handmade soaps, our vendors are sure to have something to catch your fancy or wet your appetite. Some, like Lalondes and Greenlaw Maple Products, have been with us for decades while others are being welcomed for the first time this year. Oh, and did we mention maple syrup? 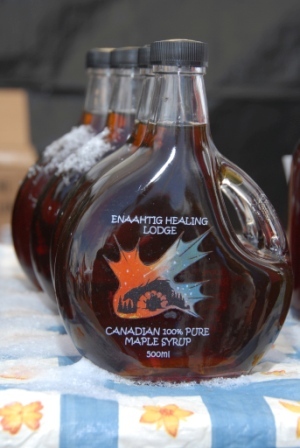 We have many vendors offering maple syrup products, including our two local producers, so be sure to drop by and visit them.